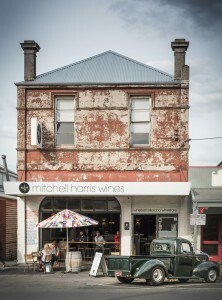 Based in our home town of Ballarat, and surrounded by the great wine regions of Western and central Victoria, winemaker John Harris, works with our growers in the Pyrenees, Macedon, Ballarat and Henty wine regions to craft wines that display distinctive varietal expression and reflect individual vineyard, vintage and regional character. Nestled in the hills just outside of Moonambel and at the end of the narrow, dusty and bumpy Wild Dog Track, is the Peerick Vineyard. The first Pinot Noir, Cabernet Sauvignon, Sauvignon Blanc and Shiraz vines were planted here by Chris & Merryl Jessup in 1990. Planted on undulating slopes to maximise the abundant sunlight and to allow cool air movement from the surrounding hills, the shallow, rocky, and quartz laden soils provide an ideal site to ripen all varieties planted. 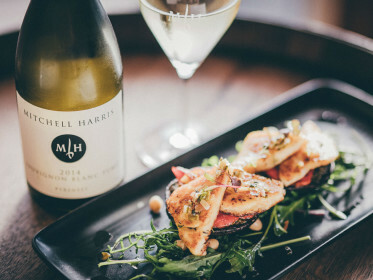 In the heart of the Kanawinka Volcanic Plain, one hour from the coast and one hour from the heart of the Grampians National Park, lie the vineyards of Henty. 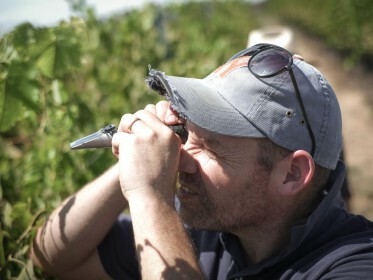 Swept with chilly Antarctic winds from the Southern Ocean, Henty is amongst the coolest and Southern most wine regions of mainland Australia, and thus, is ideally suited for growing Pinot Noir for our Sabre sparkling wines. Planted in the late 1990’s, Jen & Andrew Lacey’s vineyard is planted on weathered basalt with gravelly loam topsoil overlying red clay. Organically farmed, yields are low, often less than 1.5 tonnes per acre. At an altitude of 600m and planted on some of the oldest Cambrian soils in Australia, the Wilimee Vineyard is one of the oldest vineyards in the Macedon Ranges. Originally founded as the Portree vineyard in 1982, we are honoured to work with our friends Ben Ranken and Sally Richardson who carefully grow the Chardonnay that has formed the backbone to our Sabre sparkling wines since 2013. Located just 8 km to the north of our CBD cellardoor, between Creswick and Ballarat, the Wightwick Vineyard at Invermay is perched on a gentle north east facing slope approximately 500 m above sea level. 400 million year old Ordovician soils of structured clays and gravely quartz are moderately fertile and have good water holding capacity. 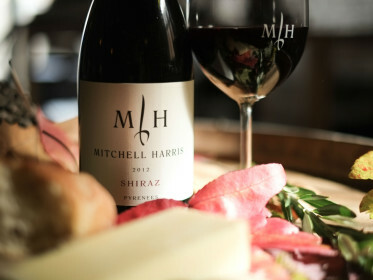 Planted exclusively to Pinot Noir and Chardonnay, we look forward to working with Keith and Anne Wightwick to help grow and make our first Chardonnay and Pinot Noir table wines under the Mitchell Harris label. In the winery, like in the vineyards, our philosophy is to let the fruit do all the talking and to minimise chemical inputs where possible. 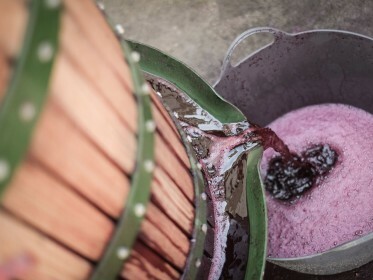 Our winemaking aims to preserve the inherent quality and character of the fruit from the vineyard and to reflect the peculiarities of the season. Most of our wines are wild yeast fermented and are unfined and are filtered just prior to bottling. Our wines are crafted to be enjoyed in the vibrancy of youth but to also reward medium to long-term ageing. From the classic Western Victorian pepper and spice in our Pyrenees reds to the cool climate focus and finesse of our Sabre sparkling, we hope our wines will give you a real glimpse into what makes our central and western Victorian wine growing regions so special. We are proud to be a 5 red star rated winery in the 2018 James Halliday Wine Companion. 60% Chardonnay & 40% Pinot Noir from the Macedon & Pyrenees ranges. Three and a half years yeast age delivers a complex and a creamy middle palate. Young Pinot Noir table wine delivers the subtle bronze hues, power and drive at just 4 g/L dosage. From a warm and low yielding vintage, two barrels stood head and shoulders above the rest for their power, structure and complexity. 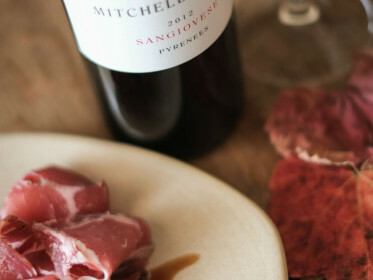 Cabernet Sauvignon (60%) and Shiraz (40%) combine seamlessly to create a powerful and complex long-living Pyrenees classic.